Video poker, unlike the pokies or slots, is a game based on a combination of skill and luck – one of the chief reasons why video poker titles are so popular among casino punters and blackjack players. Video poker games are available across all land based casinos, with an assortment of diverse variations lending themselves to players of all different bankroll sizes. They are set up like pokies machines, and cards are dealt to players on the electronic screens. While many variants of video poker exist, the main aim of the games are more or less the same – the player is dealt five cards and attempts to build the highest ranking poker hand, according to the pay table displayed next to the gameplay area (typically allowing for one round of discarding and recruiting cards to better the hand). Players can alter the size of their wagers per hand, and almost always have the option to double any winnings via the ‘gamble’ or ‘double’ feature wager. Mini game 1: One of five cards are flipped over to reveal a random card. 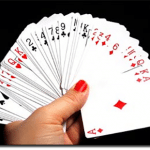 The player must then try to select a higher card to double his or her winnings. If successful, the player can collect his or her winnings or opt to go again (no limit). If unsuccessful, the player loses all previous winnings. Mini game 2: The player must guess whether the card to be revealed will be red or black, in order to double his or her winnings. The player can also choose to guess of what particular suit the card to be revealed will be, and guessing right will pay a return of four times their initial winnings. Again, if successful, the player can collect his or her winnings, or opt to go again (no limit). If unsuccessful, the player loses all previous winnings. Within the video poker game, the player begins by placing a bet. The player can select the number of coins he or she wishes to wager per hand, and the value/size of the coin he or she wishes to wager per hand. For example, the pay table for a certain game may come with five columns, the first which displays the pay outs for one coin bet, the second which displays the pay outs for two coins bet, and so on to five coins bet. The size/value of the coin also needs to be selected. Typically, sizes include 0.25, 0.50, 1.00, 2.00, 3.00, 4.00 and 5.00, but can vary from title to title. So if the player chose to play five coins, at a coin size value of 5.00, the bet per hand would be $25.00. If the player chose to play three coins, at a coin size value of 2.00, the bet per hand would be $6.00, and so on. To select the number of coins played, the player will need to click or tap the corresponding pay table column or the ‘coins’ button displayed in the betting area. Now the real fun begins. Once the bet is placed, the player will be dealt five cards (unless playing a variation that deals more or less than five cards in total). The player can then choose to hold as many or as few cards as he or she wishes, in an attempt to better his or her hand. Cards held are kept, while all remaining cards are re-dealt. Some games will allow for another draw, but most video poker titles offer just the one re-draw. Additional hand combinations in different video poker titles, such as five of a kind or four deuces (in games where deuce cards are considered wilds) are also implemented, for bonus pay outs. The lowest pay out (a pair) will always pay at 1:1, while the highest pay out in most games (a royal flush) will pay anywhere between 300:1 to 600:1. Once the hand has been completed, the player can opt to collect his or her winnings, or ‘double’/’gamble’ in an attempt to make more money. The set of cards used for most games will be a standard 52 deck of cards, but some variations will add jokers or other wild cards, as is often reflected in the name of the game. Playing one variant of video poker will be enough to familiarise a player with all other video poker titles. With practice and knowledge of game strategy (best cards to hold), and ensuring you play the titles with the highest paying pay tables, the video poker house edge can often be reduced to less than one percent, making it one of the best games, in terms of best odds for the player, in the casino). The higher the pay outs for the specific hands, the lower the house edge is for the player. 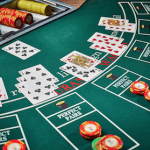 While land based casinos offer a variety of video poker games, you will get a far greater selection of titles on the Internet, at online gambling sites. The sites listed below are all licensed and regulated by gaming governing commissions and audited by gaming testing agencies (to check for game fairness and responsible operator conduct). All the sites’ games and services can be legally played, depending on the laws in your jurisdiction. Players can access secure and globally trusted banking methods to make deposits and withdrawals via any compatible platform. Options include: MasterCard and Visa credit and debit cards, e-wallets such as Neteller and Skrill, pre-paid cards like PaySafeCard and EntroPay Virtual Visa Card, and direct wire transfers via Internet banking systems like and Citadel Direct Instant Banking. All financial transactions are protected with the latest secure socket layer (SSL) digital encryption technology and all personal information can be removed from the casino operator’s database at any time you wish. No personal details are ever shared to other companies.